AUGUSTA, Maine — Among the business facing the Legislature when it convenes on Tuesday will be 21 new vetoes Gov. Paul LePage issued Monday afternoon and evening, including one of a bill that aimed to increase the state’s minimum wage. Those are in addition to about a dozen previous vetoes that are still pending Legislative action. LD 611 would incrementally increase the minimum wage from the current $7.50 per hour to $9 an hour by 2015, followed by annual increases tied to inflation. The bill, sponsored by Rep. Scott Hamann, a Democrat from South Portland, passed with an 86-58 vote in the House and 19-16 in the Senate. Those totals, which reflect support from Democrats and opposition from Republicans, fall short of the two-thirds required in each chamber to override a veto. LePage wrote in his veto letter that Maine should focus on creating better jobs rather than improving its lowest-paying jobs. Hamann said the intent of his bill was to ensure all working Mainers receive a livable wage. LePage also vetoed three other workforce-related bills on Monday, including LD 1198, which would have lifted a ban on receiving unemployment benefits during a week a person receives more than four weeks of vacation pay; LD 1069, which would loosen the balance between pay and benefits for employees of contractors working for the state, as long as the combination is equal to or higher than Department of Labor standards; and LD 1259, which places restrictions on foreign workers in Maine’s logging industry. Those bills, along with LePage’s veto of a workers’ compensation reform laid out in LD 443, are consistent with LePage’s mantra of making Maine more attractive for businesses. Monday’s vetoes by LePage include three bills sponsored by Jackson, with whom LePage has had high-profile disputes. LePage also vetoed LD 890, which would require that any goods or services purchased by the state be American-made whenever possible. “When spending taxpayer dollars, the state should look to ensure we get the best possible deal, and that includes dividends earned by spending money at home,” wrote LePage in his veto letter. Jackson, the bill’s primary sponsor, said that belief should be put into law. LePage also vetoed LD 1057, a bill that would have spread the expense of public charter schools across the entire state by funding them through the Department of Education’s Essential Programs and Services formula. Charter schools are funded by students’ sending-school districts, which some argue strips away too much money from nearby traditional public schools. “This bill is another attempt to destroy public charter schools in Maine by a thousand cuts,” wrote LePage in his veto letter. The veto reflects the stark differences between LePage and Democrats, who hold majorities in the House and Senate, over education reform. Republican minorities in the House and Senate have sided with LePage on most override votes, upholding the vetoes because the Democrats’ majorities in each chamber fall short of the two-thirds required for an override. LD 703, another bill vetoed by LePage on Monday, would make it illegal for a person convicted of animal cruelty to ever own animals again. LePage said the judicial branch of government already addresses that problem. Monday’s slate of bill rejections brings the total number of vetoes the Legislature will face on Tuesday to more than 20 and the number of vetoes LePage has issued this session past 80, the most by any governor in the past 40 years. 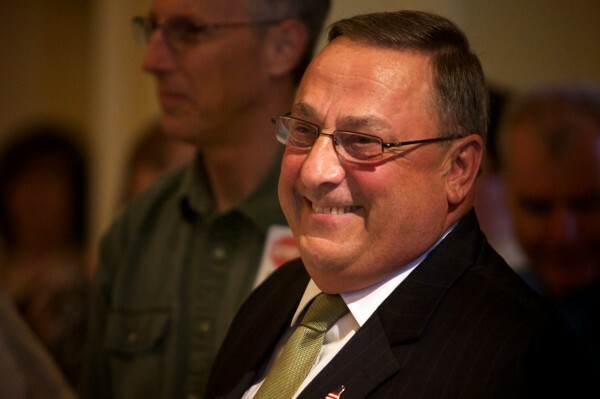 To date, the Legislature has sustained all but three of LePage’s vetoes. The only three successful overrides were to enact the two-year state budget, an omnibus energy bill that LePage eventually supported after changes were made to another bill affecting offshore wind power contracts, and a bill to revise rules related to how registries of deeds function. — LD 415, An Act to Require a Warrant to Obtain the Location Information of a Cell Phone or Other Electronic Device. — LD 236, An Act to Protect the Privacy of Citizens from Domestic Unmanned Aerial Vehicle Use. — LD 1132, An Act to Achieve Economic Growth by Enhancing Science, Technology, Engineering and Mathematics Education and to Meet Workforce Needs. — LD 1533, An Act to Establish the Maine Online Learning Collaborative. — LD 1282, An Act to Help Small Farmers in Selling Raw Milk Products.